24 Jan Do I need to line my chimney? Fireplaces and stoves are wonderful for keeping our homes warm and cosy, offering a focal point for families to gather round and enjoy an evening or weekend – particularly when the weather is shocking or freezing cold outside. For our fireplaces to operate safely, though, there is a lot that needs to be considered when installing them; similarly, they need to be well maintained to keep them working properly. This extends to chimneys as well whose job it is to remove smoke from your home. You may not have heard of chimney liners before, but they are an important component of your fireplace so our focus this month is on their function, why they are important, and what you need to look out for. Let’s start with the basics. Your chimney is the external structure that houses the flue. The flue itself is the passageway through which combustion products from your fireplace are removed such as smoke and ash. A chimney can house more than one flue, depending on the size of your fireplace or the number of fireplaces you have in your home. 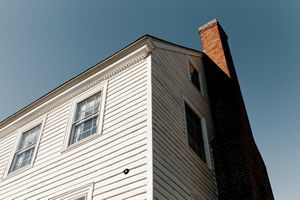 If there is a problem with the flue, then you could end up with smoke leaking back into a room, or you could notice that smoke is not moving out as quickly; this can happen if there is greater friction on the flue walls. A chimney liner will replace the flue to remove these problems and to make your chimney, and by extension your fireplace, more efficient and safer. What types of liners are available? Stainless steel. This is lowered into your chimney as a single, continuous length of liner. A popular option, it is suitable for both gas and solid fuel fireplaces. It is easy to install and cost effective, however, it is not designed to offer structural support to your chimney. As a spray-on coating. This is a job for a specialist contractor and involves spraying a ceramic coating on the flue walls. It is a hard-wearing option which typically comes with a long-term guarantee and is suitable for both gas and solid fuel appliances. Concrete. The most robust option and one that is suitable for older properties that need some structural support as well. Concrete is pumped in along the flue walls, sealing any cracks and securing joints and has a very long life expectancy – around 50 years. If you are replacing or installing a new chimney liner you must make sure that your chimney is clean and free from obstructions. Make sure to have it professionally swept and inspected prior to installing a new or replacement liner to ensure that the surfaces are clean and prepped. A new liner does not mean that regular sweeping and maintenance are no longer necessary. As before, you should have your chimney swept before the new winter season or after any longer periods of non-operation. If you are burning wood fuel then you should ideally have your chimney swept before and after the heating season. for a chat or to ask us for your free, no-obligation quote if you are considering a new fireplace or stove.